Since his death in 1791, Mozart's music has remained a profound presence in the midst of world events, both tragic and joyous. Today, as we recognize the anniversary of the assassination of U.S. President John F. Kennedy and reflect on an era, we find that Mozart's music was there, providing beauty and strength in Camelot's darkest hour. It helped a family, and a nation, say goodbye. 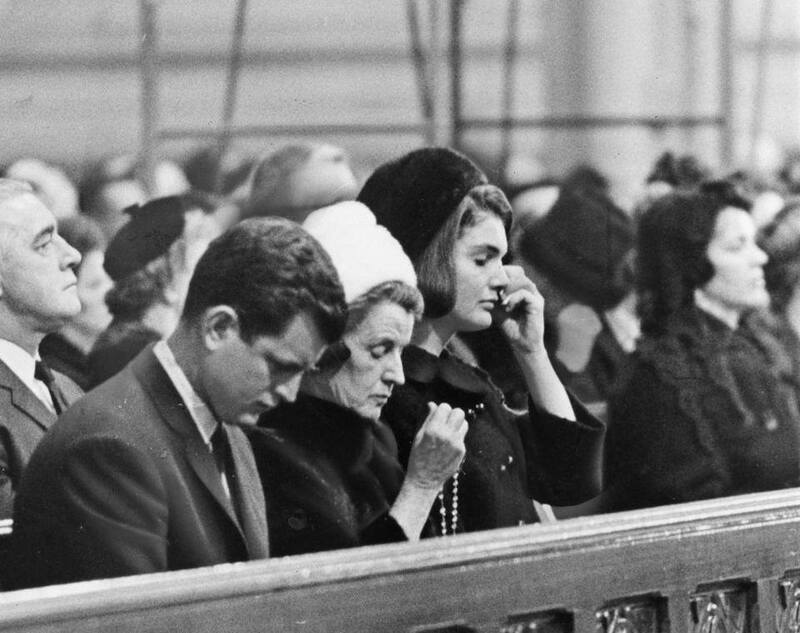 The Kennedy family attended mass at the Cathedral of the Holy Cross in Boston on January 19, 1964 where Mozart's Requiem was performed by the Boston Symphony Orchestra in the President's loving memory. It's significant to note that this was the FIRST time in U.S. history that Mozart's Requiem had been celebrated as a liturgy. In the article, "Return to Camelot: Music of the Kennedy Years," Christopher Purdy writes: "The Mozart Requiem sang and thundered and begged and comforted. The country began healing to Mozart's music during this performance." The mass was broadcast on national television (NBC) and the performance was recorded and sold (RCA Victor) in record stores. Watch and listen to excerpts. "The music was wonderful and beautiful. Mozart's Requiem is not a depressing work, it is graceful and powerful," said Joan Bennett Kennedy. 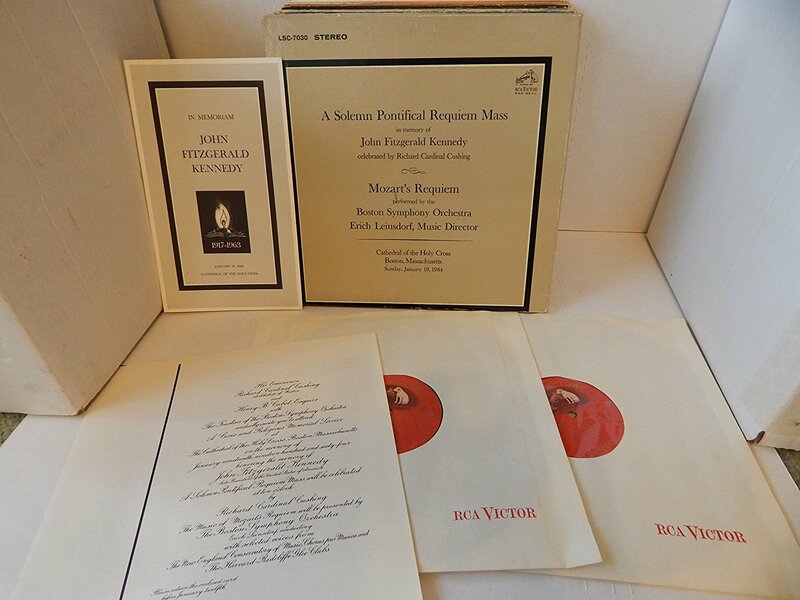 The worldwide music community responded with several tribute performances led by such renowned musicians, composers and conductors as Igor Stravinsky, Leonard Bernstein and Issac Stern. The words offered by Bernstein that November are as relevant today as they were all those years ago. He answers a question I often ponder: As music continues to be a binding fabric of humanity across time, what is our resolve in the face of such unspeakable tragedy? Bernstein: "This will be our answer to violence: to make music more intensely, more beautifully, more devotedly than ever before."